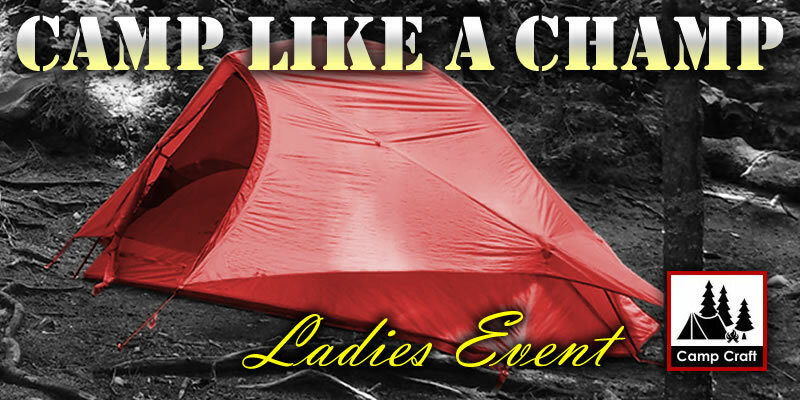 We’re pleased to introduce “Camp Like a Champ” women’s-only overnight backpacking event. This event is being led by Redline Guide Arlette Laan. If you don’t know of Arlette (click the link above to find her profile), she is a bit of an expert on the subject of backpacking. And being a woman herself, might just be able to provide a completely unparalleled gender-specific experience. If you have concerns and questions, you can rest assured she probably had them, too, at one time. This event is limited to four participants so if you’re interested in learning from the best, please register now (choose “Camp Craft,” the date range, and refer to this “Camp Like a Champ” event). Meet: Announced to participants only. For an example of gear to bring and clothes to wear, please refer to our Camp Craft page or contact us with your questions. For a specific list of what Arlette — a Gossamer Gear Ambassador — carries, please the bottom see this page on the Gossamer Gear weblog. Ladies, to join in on the fun and learning, please register now for this event! 6/30 UPDATE: The original 7/22-7/23 dates have SOLD OUT. We still have space in our 7/20-7/21 and 8/5-8/6 classes. 6/29 UPDATE: We are adding a second and third date range for this event for those unable to attend the frost weekend event. The first added event date is July 20 thru July 21. The second one is August 5 thru 6.